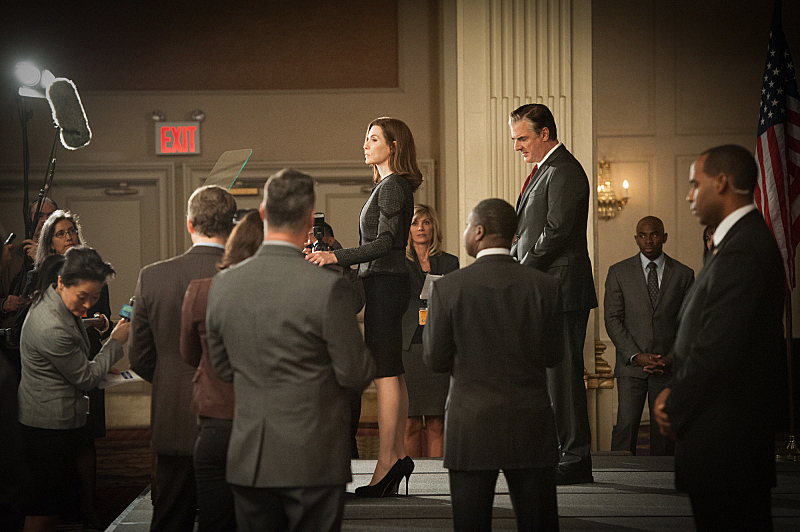 Alicia faces an uncertain future when she is forced to resign as State's Attorney in the wake of a voter fraud scandal. Also, R.D. (Oliver Platt) hires Diane and Cary to argue against two ultra-conservative lawyers for a test case involving mandatory minimum sentencing.